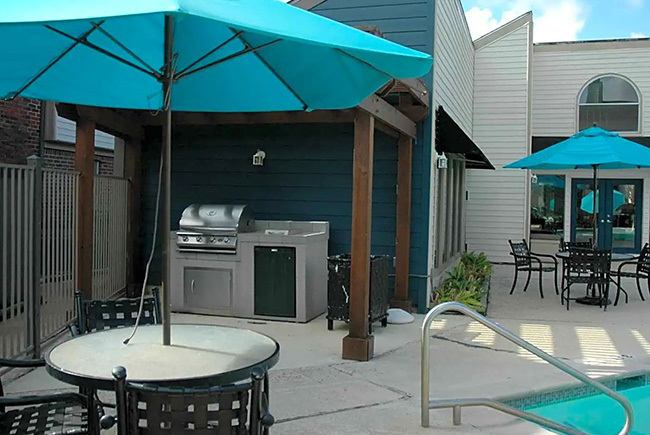 Welcome to Briar Park Apartments in Houston, Texas! Briar Park Apartments boasts one and two-bedroom apartments, in addition to two and three-bedroom townhomes, so you’re sure to find a floor plan perfectly suited to your unique lifestyle. Our cozy, gated community comes fully-equipped with all the comforts of home, including ample storage space, fireplaces, and full-size washers and dryer connections. We also feature an on-site pool with outdoor grilling area, a children’s playground, a 24/7 fitness center, a business center, and a community meeting room. Located near Highway 249 and Beltway 8, Briar Park Apartments offers a short commute to the Klein School District schools, several area employers, and numerous options for dining, shopping, and entertainment, such as Sam Houston Race, Willowbrook Mall, and Seton Lake Park & Ride.